You are now a qualified yoga teacher. And a beginning of your exciting journey. How do you make it into a sustainable yoga business? Without teaching 30 classes each week? Because completing 200 Hrs training and qualifying as a yoga teacher does not prepare you to create a successful yoga career. It’s taken me over 8 years of teaching yoga and mindfulness (over 3 years full-time), running my yoga and wellness studio for over 6 years, attending countless trainings as well as many business and coaching courses, reading countless books, many sleepless nights and a lot of inner work to really learn what works for me. And I’d like to help you to reduce the amount of time, frustration and money you will spend on finding your own way. Building a successful and sustainable yoga teacher career takes lots more than just teaching yoga asana. And that’s the most challenging part. Especially if you want to support your lifestyle and your family with your earnings from your work. If you want to do it on the side as a hobby or because you love it and want to share it with the world – that’s great! Enjoy your journey and have fun! But if you want to create a soulful business – making a difference and having a positive impact as well as supporting yourself from it – then you need to learn how to create from your inner wisdom. To create something very unique that only you can create. And that sounds easier than it is. 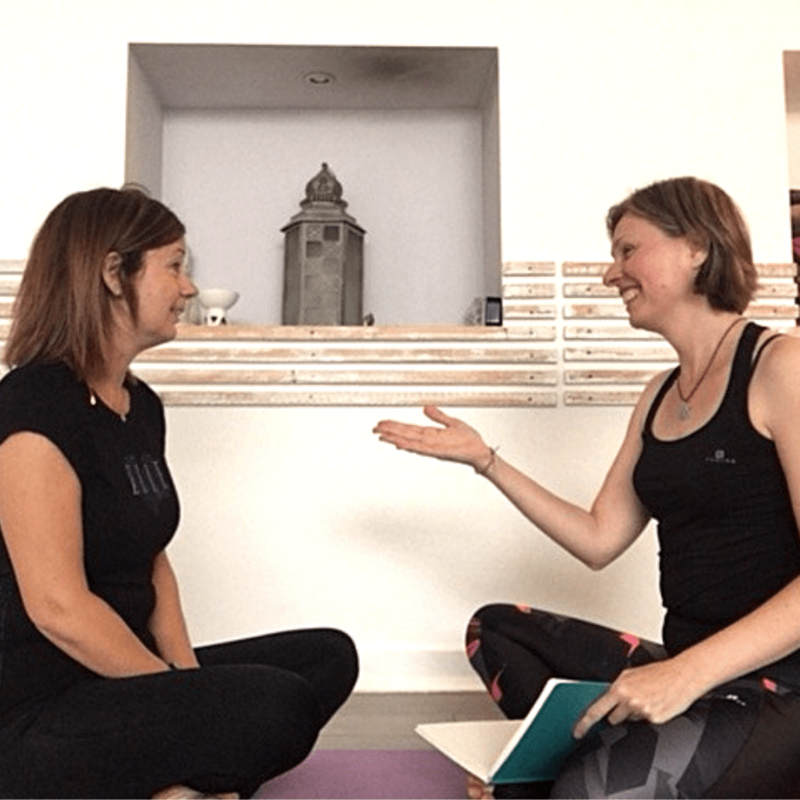 So how do you stand out in the world that is training more and more yoga teachers every day? 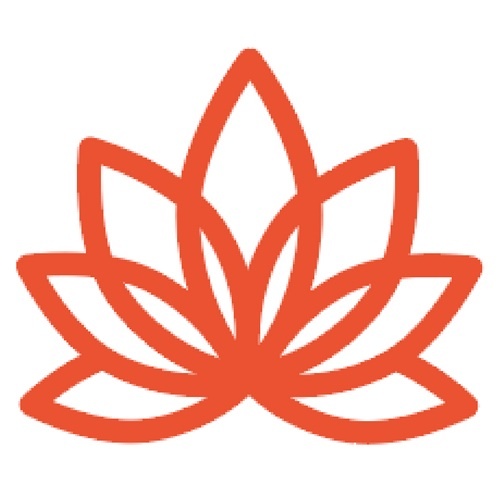 I’m here to help you and take you through a process that helped me create a successful and sustainable yoga and wellness path. Clarity, confidence and motivation – you will experience feelings of confidence and motivation to create your dream life that come from having clarity about what to do next. Feeling empowered that comes from taking consistent action – no more procrastinating or freezing because you don’t know what is the right thing to do. Support, support, support – leave behind that feeling of having to figure it out alone. I’m here to help you work it out. I really want you to thrive with joy, calm and ease. Lots of resources – videos, pdfs and checklists – all those questions that help us to work out what’s really important and how to implement it. My full attentions and focus. I already have a busy yoga and wellness practice so I only take 3 teachers at a time. I know from my work with clients and teachers as well as 16 years in Social Care work and training, supervising and managing front-line workers and volunteers that this process requires a lot of energy to be life-changing – and that’s what I want for you. 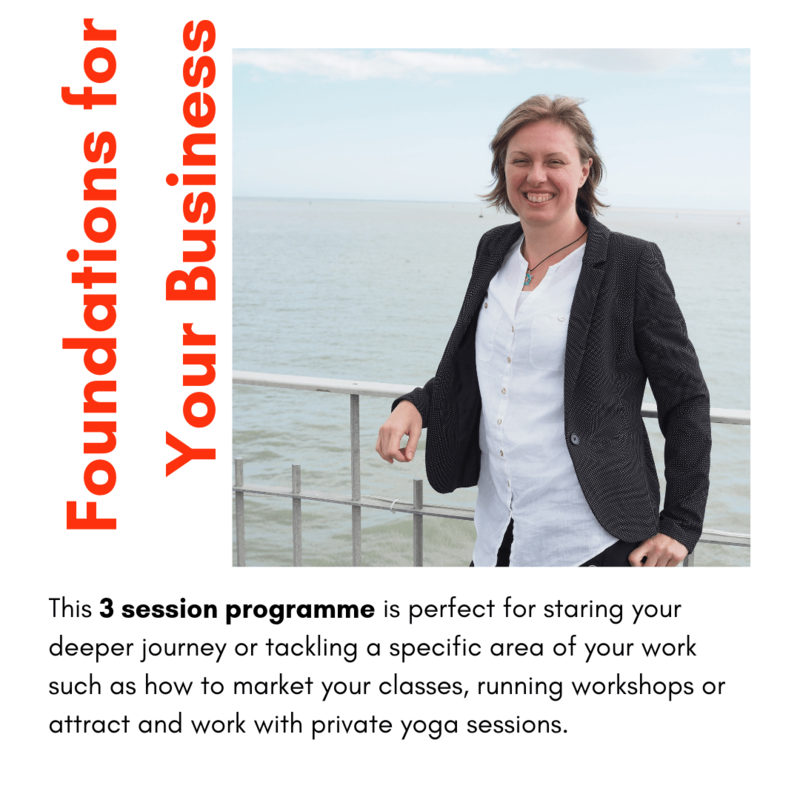 Perfect for staring your deeper journey or tackling a specific area of your work such as how to market your classes, running workshops or start private yoga sessions. 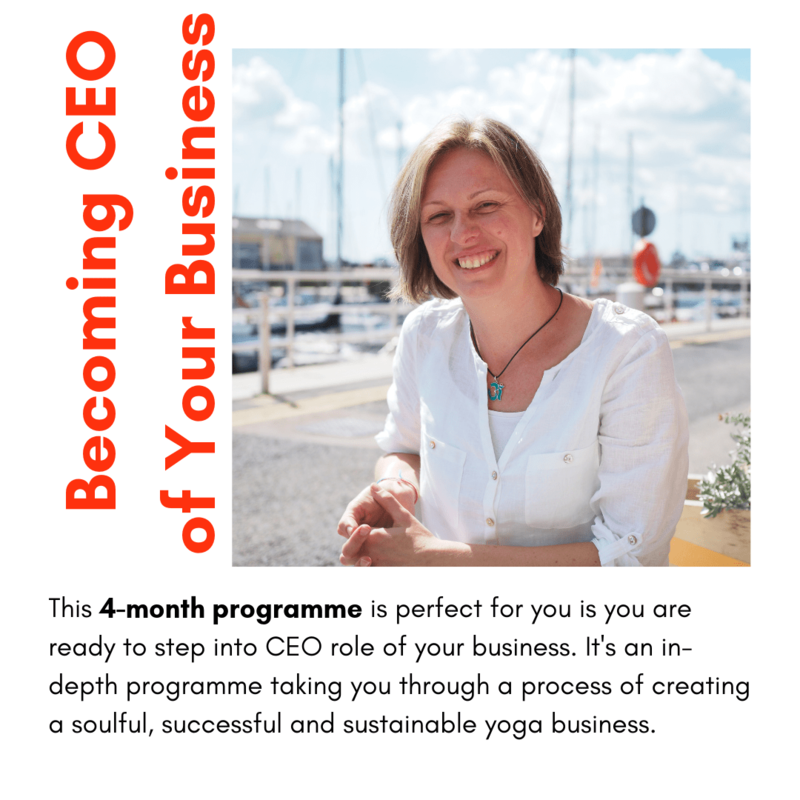 An in-depth programme taking you through a process of creating a soulful, successful and sustainable yoga business. 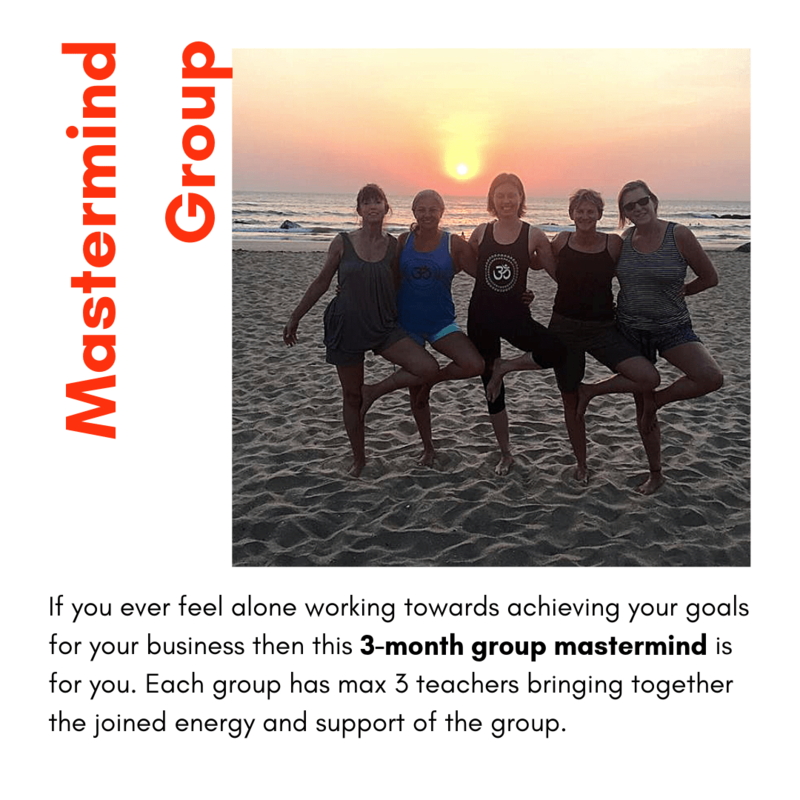 If you ever feel alone working towards achieving your goals for your business then this 3-month group mastermind is for you. Each group has max 3 teachers bringing together the joined energy and support of the group. Next group will start in April. If you are interested contact me via email: aneta@anetai.co.uk and tell me about your situation and what you need support with. We can then schedule online meeting to discuss how we can work together best.